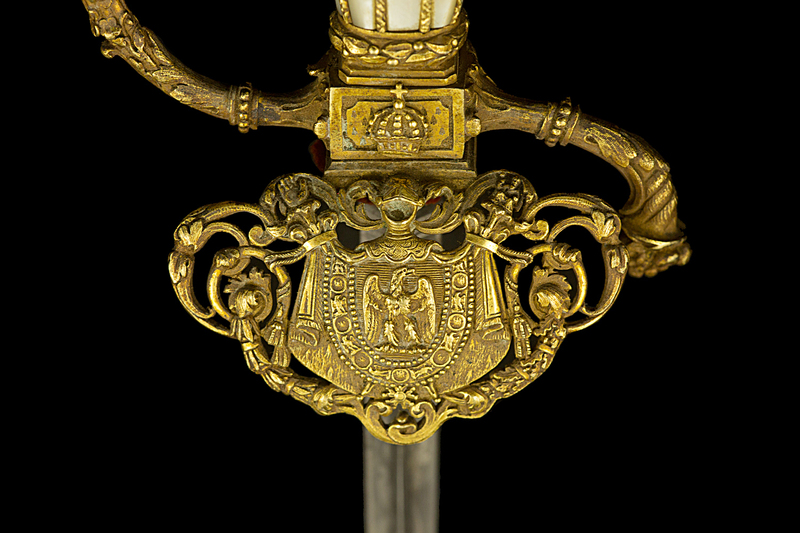 This sword was once owned by Eugene-Marie COR, attached to the French direction of consulates under the Second Empire. E-M Cor was born on June 27th, 1843 in Constantinople and died on June 26th, 1924 in Brest, 29200, Finistere, Bretagne, FRANCE, at the age of 80. 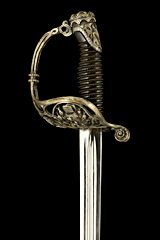 This sword is very similar to the presented on page 400 of Jean Lhoste's book 'Epees portees en France de l'origine a nos jours'. 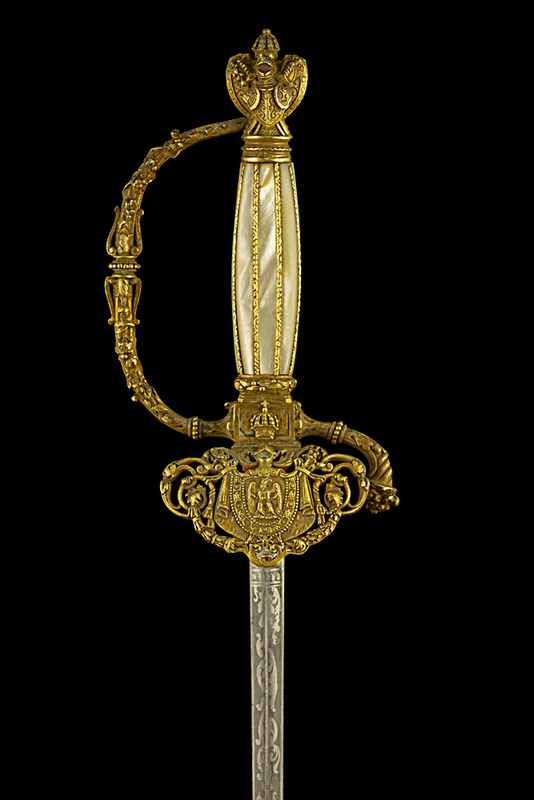 He presents it as the sword of the Lord Great Chamberlain of Napoleon III's civil house. There was, however but a single such person, from 1853 to 1870 : Napoleon Maret (1803-1898), duke of Bassano. 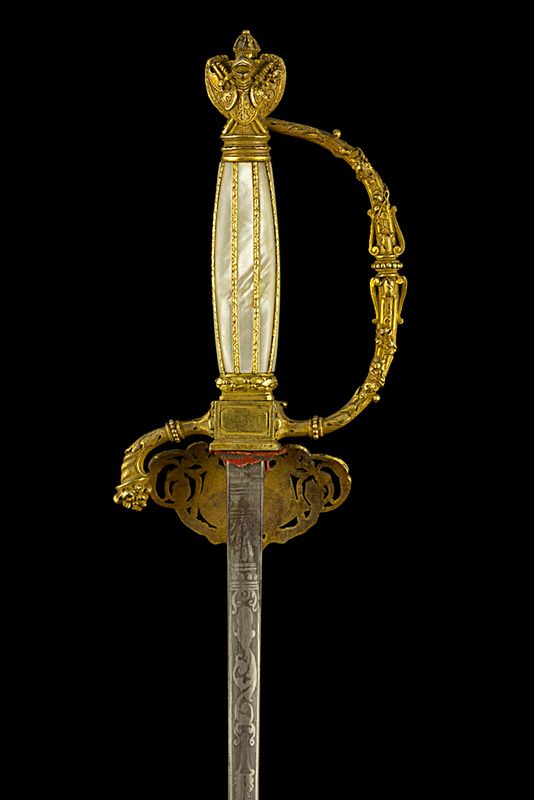 I have found other references to such swords on the internet (sales at Drouot and Beauvais encheres). 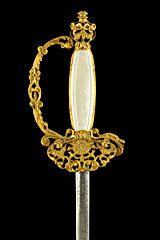 They were listed either as 'court swords' or as that of officers of the civil house of Napoleon III. Notice the tang button in the form of an Emperor's crown. 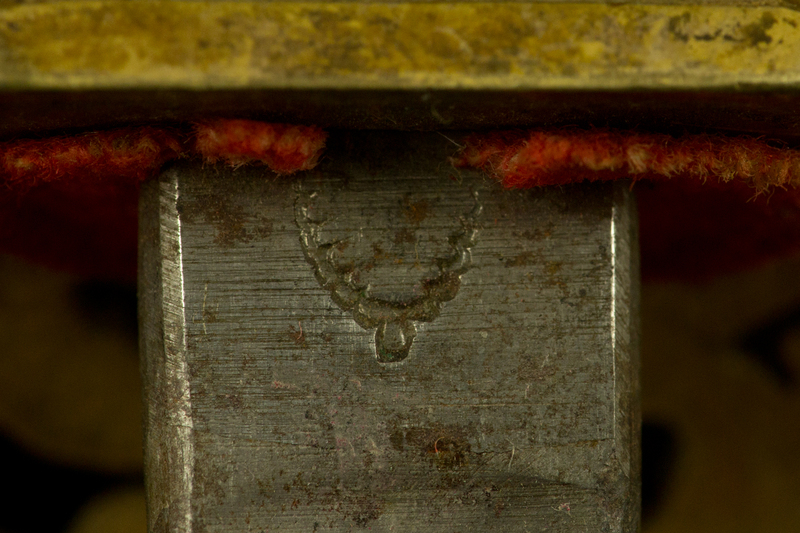 This is replaced by another type of crown on this, very similar, sword. Looking at pictures from Empress Eugenie's crown, it seems that this could be a depiction of the later.